The awards will be presented at the banquet on Tuesday, November 13 at the DoubleTree by Hilton Hotel Wichita Airport. Door open at 5 p.m. for VIP holders, 6 p.m. for all others. Admission One seat $100, Two seats $175 (10 seats per table). VIP Meet & Greet seats are $150 each, two seats $275. Click here to purchase tickets. At our annual banquet, we will recognize three veterans from South Central Kansas who served their country and are making a difference in our community. We will also recognize one local business that is advocating and providing resources for veterans in our community. Keynote Speaker, Rear Admiral Jeffrey Penfield (USN, Ret.) was commissioned in October 1982 via the Aviation Officer Candidate Program and earned his Navy Wings of Gold in June 1984. His operational assignments include Strike Fighter Squadron (VFA 136) as a plankowner, VFA-94 and command of VFA-115. While in command, he deployed on the maiden F/A-18E Super Hornet cruise participating in Operation Enduring Freedom Operation Southern Watch and the initial combat phase of Operation Iraqi Freedom. His shore tour assignments include Training Squadron (VT-23), Air Test and Evaluation Squadron (VX) 5, the Super Hornet Fleet Introduction Team and VX-9 where he was the lead operational test director for the F/A-18E/F operational evaluation. His assignments as an acquisition professional include program manager air (PMA) 265, the F/A-18 & EA-18G Program Office; command of PMA-259, the Navy’s Air-to-Air Missile Program Office; command of PMA-268, the Navy Unmanned Combat Aerial System Program Office; and assignment to the Naval Air Systems Command staff working Integration and Interoperability initiatives. Penfield’s previous flag assignment was commander, Fleet Readiness Centers. Penfield has over 4,000 flight hours and 750 carrier landings. He has been recognized as the 1995 Commander, Naval Air Force Pacific Fleet Pilot of the Year and the National Defense Industrial Association Navy Military Tester of the Year for 1999. He has been awarded the Legion of Merit (two awards), the Bronze Star, Meritorious Service Medal (three awards), Air Medal (six awards, one individual with combat V/five Strike Flight), Navy and Marine Corps Commendation Medal (four awards, one with combat V), and two Navy and Marine Corps Achievement Awards along with various other personal, unit and service medals. 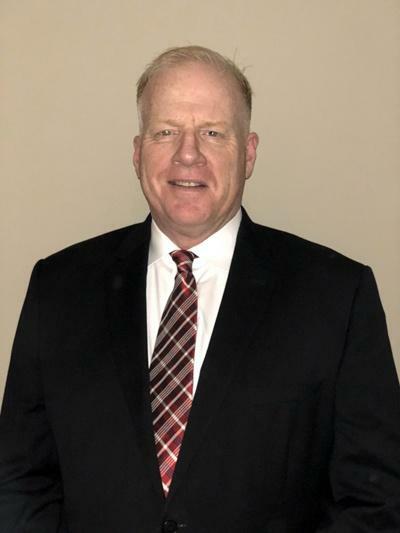 Penfield retired in September, 2016 and is currently involved with several veteran related non-profits, including serving as the Chairman of the USS Wichita Commissioning Committee. Special Guests, Jim and Kate Lehrer. Kate is the USS Wichita’s Ship SPONSOR, and her husband Jim was born in Wichita. 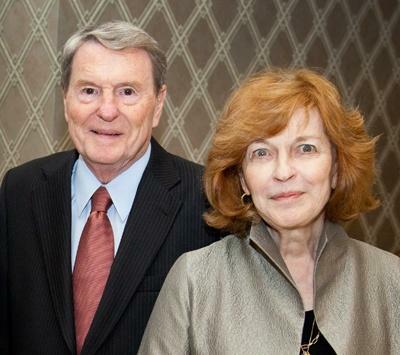 In September 1983, Lehrer helped launch “The MacNeil/Lehrer NewsHour” which, after MacNeil's departure in 1995, was renamed The NewsHour with Jim Lehrer, and in 2009 became the PBS NewsHour.